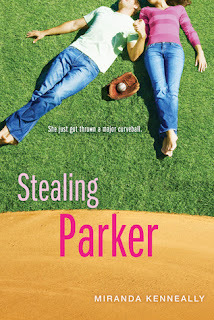 Stealing Parker hit shelves about a month ago, and we're helping Miranda Kenneally and Sourcebooks celebrate its release. Catching Jordan and Stealing Parker are both favorites around here and we can't recommend them highly enough. Growing up in Tennessee, Miranda Kenneally dreamed of becoming an Atlanta Brave, a country singer (cliché! ), or a UN interpreter. Instead she writes and works for the State Department in Washington, D.C., where George W. Bush once used her shoulder as an armrest. She loves Twitter, Star Trek and her husband.